Eiza Gonzalez’s Oscar dress was a ray of light when she presented the Academy Award for her first time, and many more celebrities followed the Baby Driver’s choice of colour for their gala gowns. Emma Stone, for example, wore a yellow Versace dress. Designers make clothes and accessories in the hues of sunshine and a concept store in Rostov-on-Don, Russia, used vibrant yellow surfaces for their showroom store designed by the talented Eduard Eremchuk. 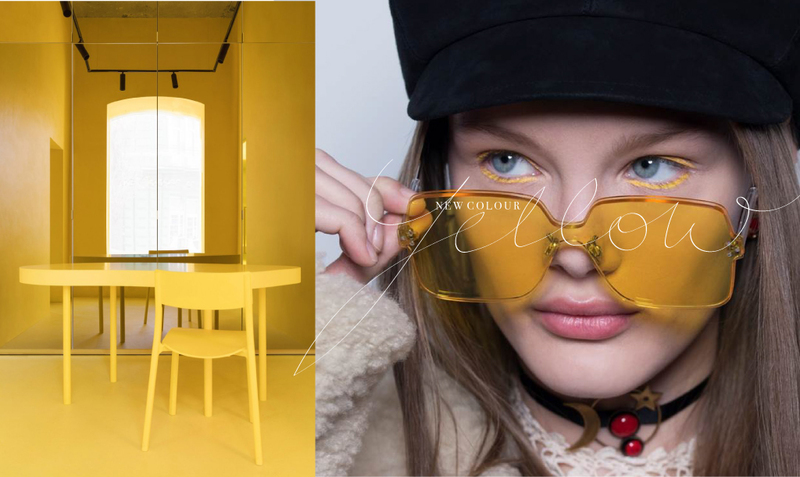 The Russian architect used the same tones of yellow for the floor and walls to emphasize the colourful, experimental collections the store is selling, as well as all the bespoke furniture designed by Eremchuk. 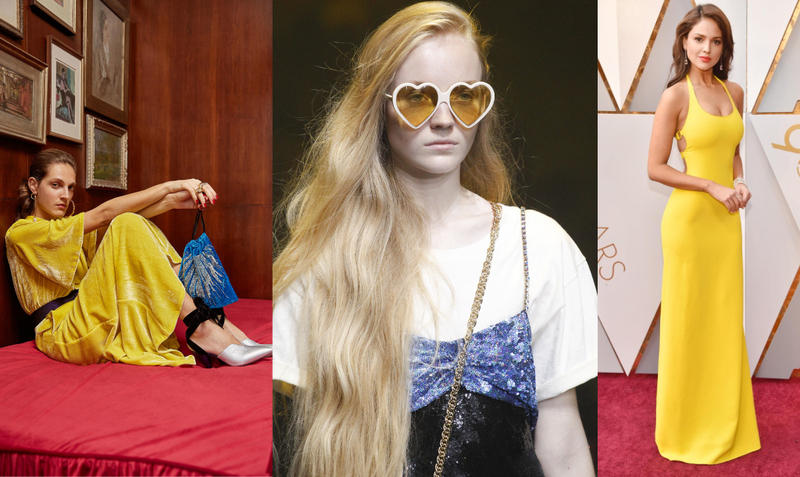 Dior framed the eyes of the models in bright yellow eyeliner for the Winter 2018 collection and made them look through bright, oversize sunshades. Are we looking into bright times or is it just our longing for sunlight and warm colours after a long winter? We love all aspects of yellow, although this colour does not suit everyone and yellow paint on your walls needs a bright, sunlit room. 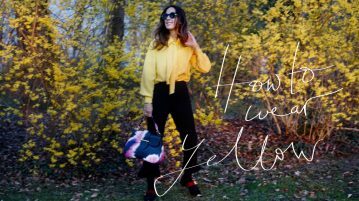 Try it out and see for yourself, one thing we can guarantee: yellow will definitely put you in a good mood.